More than six in 10 Android apps are a potential security concern. By contrast, more than 90 percent of the million-plus iOS apps that Webroot assessed were tagged as “benign,” with seven percent marked as “trustworthy,” and only a meager one percent identified as “moderate” risks. The lower instance of suspicious or malicious apps is a function of the vetting process developers must go through before apps are made available in the Apple App Store. To be fair, Android actually had double the percentage of apps deemed “trustworthy”: 14 percent compared to only 7 percent for iOS. The lack of suspicious, malicious, or unwanted apps in iOS is commendable, but there’s still a long way to go to get the 92 percent “benign” apps over to the “trustworthy” side of the fence. 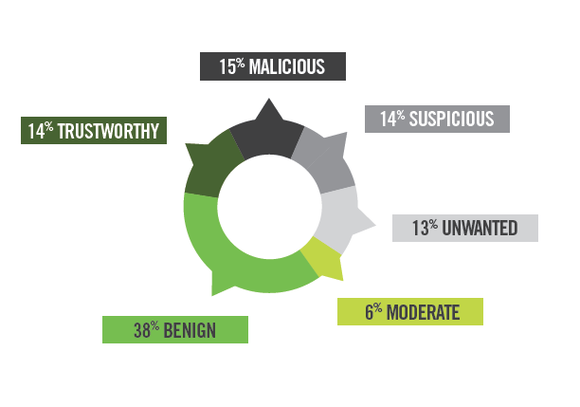 Webroot also dug deeper to determine which categories of apps seem to be the biggest security risk. Arcade and action games represent the highest infection rate on Android by far—more than one and a half times the infection rate of communications apps, which came in second. Entertainment came in third. The high prevalence of infection among games and entertainment apps illustrated that attackers recognize how most people use their smartphones and tablets, and they’re targeting consumers. 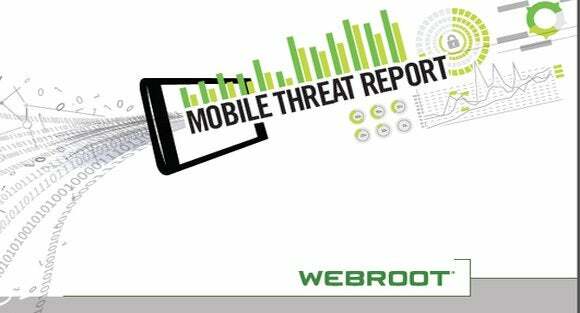 Another interesting aspect of the Webroot Mobile Threat Report is the analysis of how people use the Lost Device Protection (LDP ) feature in Webroot mobile security products. The most used function was to simply locate the device, followed by “scream” to force the device to make a loud noise so you can find it. Nearly one-in-five users remotely locked their device with LDP, and a quarter sent a custom SMS message hoping that someone would contact them or return the device. A paltry two percent of LDP activations resulted in wiping the device, which is either a testament to how often people are able to retrieve a lost or stolen mobile device, or an indictment of how careless people are when it comes to safeguarding sensitive information on a lost or stolen device. The bottom line is that there are a lot of apps out there that do things they’re not supposed to do and things you probably don’t approve of. Make sure you only get apps from trustworthy sources like the official Apple App Store and Google Play app store, and pay attention to the permissions the apps request to make sure they’re not overstepping their bounds.